ST. GEORGE – As a part of its Issues Over Eggs breakfast Friday, the St. George Area Chamber of Commerce is hosting a presentation of Proposition 1 for chamber members and the public who want to better understand the issue. The proposition is a ballot initiative asking voters to approve a sales tax increase for additional funding for transportation infrastructure and public transit. “We like to give our members an opportunity to learn about current issues, like this proposed tax, and encourage them to offer feedback and suggestions to local leaders,” said Gregg McArthur, St. George Area Chamber executive director. “Proposition 1 would take a quarter of one cent of sales tax – that’s one cent from every four dollars – and dedicate it to local growth in the form of transportation investments in roads, bike lanes, sidewalks, trails and transit,” McArthur said. Known as the “local option sales tax,” the proposed sales tax was an option given to voters as a part of the 2015 legislation that increased the state gas tax. The Washington County Commission approved putting the measure on the November ballot during its Aug. 16 meeting. Prior to this several Washington County city governments were advocating for the measure and passed resolutions to that effect, often citing the need to find additional funding for transportation infrastructure. However, whether or not the county and cities get that additional funding will be left in the hands of voters this November. Supporters of the measure have said Washington County’s population is increasing significantly and this surge of growth has elected officials struggling to keep pace with community necessities like roads. 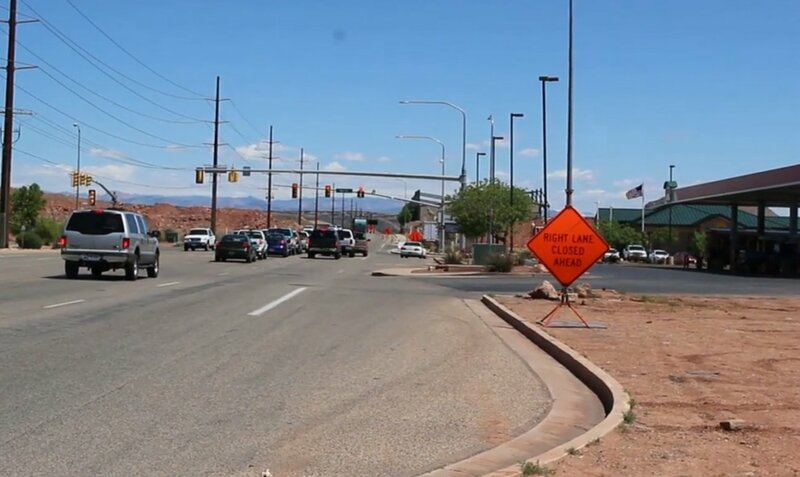 During the Washington County Commission’s Aug. 16 meeting, Ivins Mayor Chris Hart said cities were finding themselves in a crunch due to the increase in roads they need to maintain with decreasing funding over time. Making the case for supporting the sales tax increase Friday will St. George Mayor Jon Pike and St. George Public Works Director Cameron Cutler. 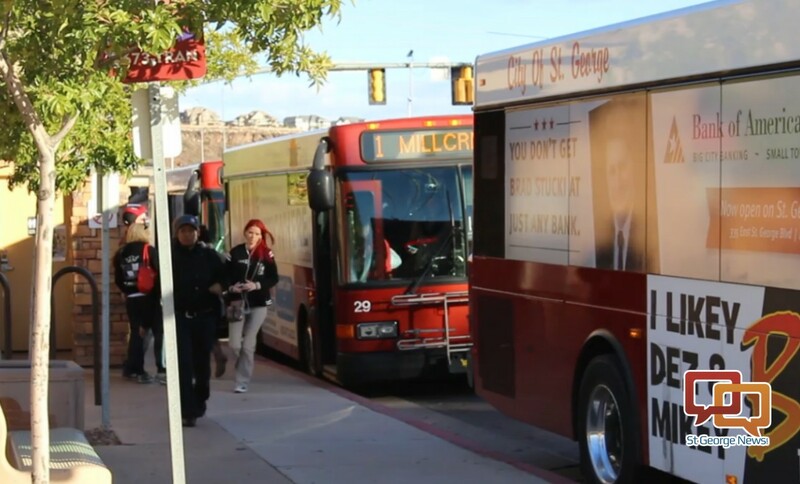 According to data from the Utah League of Cities and Towns, which supports the local option sales tax, if passed in Washington County, St. George could see an additional $1.4 million revenue toward its transportation funds and another $1.6 million applied toward SunTran. The Issues Over Egg breakfast and Proposition 1 will be head in the SelectHealth Auditorium located at 1424 E. Foremaster Drive at 7:30 a.m., Friday. St. George News reporter Julie Applegate contributed to this article. Instead of a countywide sales tax increase for everybody’ purchases, I suggest a .25 of 1 percent tax be added to the purchase price of a vehicle at the time of sale or registration that doesn’t use gasoline or very little. Let them start paying for the free pass their enjoying for road maintenance. Vote No folks. The city feels like making the taxpaying residents pay MORE, for MORE roads, so the city can host MORE bicycle events, so that MORE taxpaying residents can be inconvenienced on race days and MORE non-licensed bicyclists can enjoy our roads for free! Think of the tax base they would have if they started treating bicycles like atv’s and forcing them to pay for registration: they’d collect more than enough to continue the pet projects around town. Before anyone spouts off about them being 2 different vehicles- I agree! One has to pay for registration yet is prohibited from most roadways (which the registration pays for), and the other gets to use any road, any where, for free! pay for everything. this is like obamacare, just keep making the middle class keep paying for everything. This would be a lot easier to stomach if local leaders and governments were more responsible with the money we already give them. The amount of money spent on installing and maintaining center-of-the-road landscaping alone would fill a lot of potholes and replace a lot of miles of road. I’m all for things looking nice but it has to be balanced with the proper role of government. We’re already taxed and fee’d to death, and things like the massive WCWCD building are offensive, especially when they’re trying to shove the Powell pipeline down our throats without our input. Shouldn’t impact fees cover 100% of associated costs (new roads, intersections, widening of streets, stop lights, etc,etc)? Perhaps if they did, fewer would move here or at the very least the people who currently live here won’t be subsidizing their move. Current taxes should cover maintenance costs and not new growth. Vote no. While we’re considering more taxes, can officials ask themselves “Are we covering ALL the 100% necessary functions of government (EX: Fire, police, sewers, utilities, existing roads, etc) before we spend limited funds for ‘nice’ projects”? If you don’t know what I’m talking about, look around. A million here, a million there really adds up. What is the role of government? Is it to manage the common needs of all, or is it to cave to the most vocal minority and it’s latest pet project? Do these projects enhance life here, many times yes it does. The question that must be asked is who will or should pay for it? Mexico can pay for it after they pay for the wall ! Dumpster is back on the dope. Awwww look everybody Real Low Life got hold of mommies keyboard isn’t he cute ? We gotta get you off the dope. Praise the Lord. It is beyond comprehension that the Cities and County would AGAIN ask the residents to pay more in taxes for things that should have already been taken cared of by the regular taxes they get. Asking residents to pay for roads and maintenance of such roads and infrastructure is un fair to those elderly/non driving residents who DON”T drive the roads. It seems like the cities and county leadership have learned lessons from the Obama administration in the “redistribution” of wealth. With the minimum wage being amongst the lowest in the nation, combined with excessive home/rental prices, this tax will become a financial burden on many. It is time for these cities and the county to stop treating the residents of Washington county as their own private ATM. VOTE NO ON THIS MEASURE!! I’m voting yes because I don’t pay taxes. ..Praise the Lord ! The money wasted that already comes in is asinine. The real mcCoy, Brian and Ron make valid points. I how ever believe that this will bring in more revenue and would be a benefit to our community. But like has been mentioned before why is a new tax the answer. What has happened to the money already collected. Why is a new tax the answer. What happened to the money already collected for this very reason. 0.25 % is really nothing when you think about it but why is it necessary. Can’t it be covered with current taxes? If not then why,? Where did the money go? 0.25% may feel like “really nothing”, but that isn’t the point. The point is that the local (and state and federal) governments are doing SO much that ISN’T the proper role of government, which saps money from the revenue that is supposed to go to things that ARE the proper role of government. That is one of the reason I’m no longer a Republican. I agree with 99% of the stated platform, but the stated platform has so little in common with their actual actions and agendas, both at the local, state, and federal level. To be fair the same is true of the Democrats (they don’t live up to their own stated platform either). We’re seeing right now, in very real ways, how the government becoming everything to everyone (except honest, hard working, middle class Christians) is completely ruining this nation, and worse, it’s people. The nanny state creates useless toddler citizens that want everything done for them. The symptom in this case may be different (the government has it’s hand out for more money), but the disease is the same: the government overstepping it’s bounds while at the same time ignoring it’s core responsibilities. How about we cut spending first by no more supplementing public transit if it cant support itself scrap it. Also put a tax on hybrids and electric cars that use the road but don’t contribute to the road tax as much with fuel purchase. That would be a good start. How about you get scrapped ! there are a lot of people here who depend on public transportation to get to work and back home to their loved ones. all public transportation function on financial assistance in any city. just because you have a car that doesn’t make you better than people that depend on public transportation. how bout you just leave and don’t come back. that would be a good start. I have more respect for those people that have to use public transportation to survive out here than some self centered ignorant moron like yourself. I’m voting yes ! As a transplant, I have to compliment the planning process that has delivered a great network of bike/walking paths throughout S.G. and even into: Washington, Santa Clara, and Center St. of Ivins. Traffic congestion here does not appear anywhere near the level of problems experienced in Northern Utah. It appears that there is a prioritized “To Do” list and projects are being tackled appropriately, between city/county resources and UDOT. In some cases, projects are completed well ahead of time (like Highway 7) thru to Sand Hollow. Are we sure we need to add to our tax burden, when we seem to have been doing well with the funds available at current levels? Just a thought but wouldn’t a lotto help fund these pet projects and education?